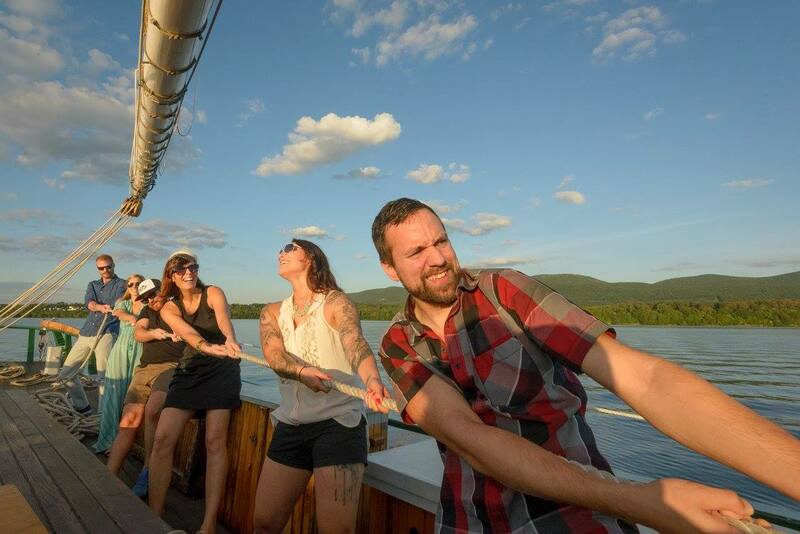 Host Your Next Special Event On A Tall Ship! 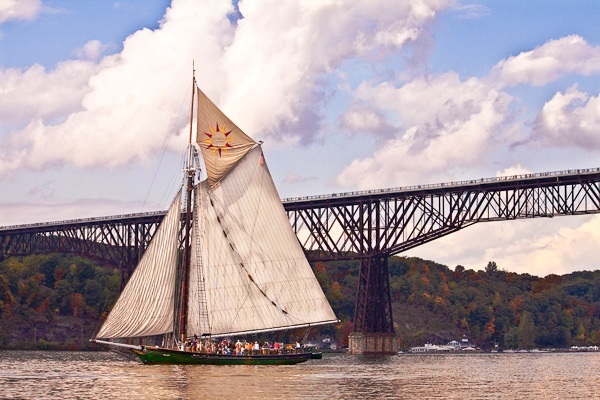 The historic tall ship Clearwater is available to rent as a venue for your special occasion, family party, wedding, corporate event, or fundraising event! We are able to customize your experience and create a warm, inviting atmosphere for you and your guests with a special focus on your group’s interests and needs. Fill Out a Sail Application! The Spring 2019 schedule has not yet been released. When it is, check our sailing schedule to see what dates and docks are available. The application is a Google Form. Make sure that you receive a confirmation from us: if we haven’t sent you a confirmation, we haven’t received your application! Confirmation of receipt is not a guarantee that we can accommodate your request. Payment is due 30 days prior to your charter. Charters are priced on a sliding scale based on the type of group booking the sail. The following are the base prices for a sail of three hours. Longer sails are available; pricing is dependent on sail length. A portion of all private charters goes to underwriting Clearwater’s Educational programming. Costs do not include food, entertainment, or transportation to the sail location. Clearwater charter sails accommodate up to 50 participants. This total number must include all caterers, musicians, and guests, regardless of age. The 50 passenger cap is based on the vessel’s licensing and cannot be adjusted. 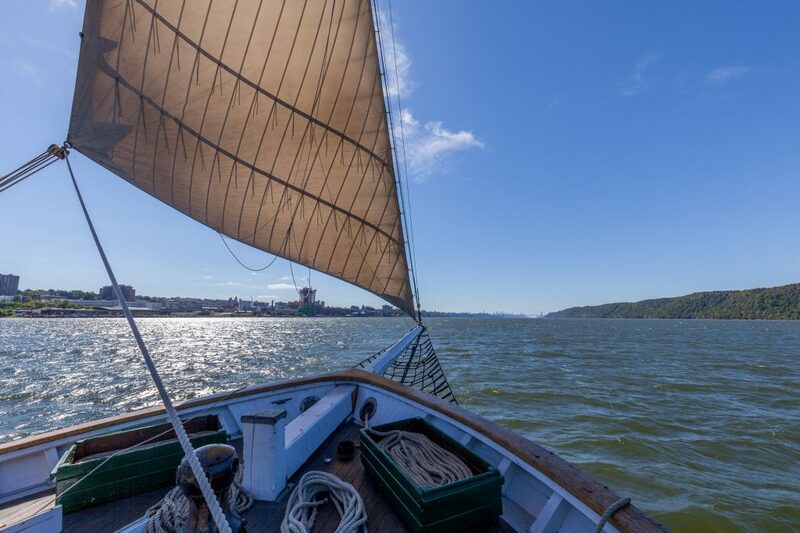 Our sail programs can be customized to meet your group’s needs. You can opt for a full education program, complete with learning stations; modified programs which allow time for special presentations for your group while still incorporating elements of our pioneering onboard education program; or custom events featuring catered refreshments and hired musicians. Our professional captains and crew have experience facilitating a wide variety of special events, and will work with you to ensure that all of the details of your sail are arranged to perfection! Clearwater sails rain or shine, and it can be difficult to re-schedule a sail that has been cancelled due to inclement weather. We recommend taking the possibility of rain into account when planning your event. For more details please call the Clearwater office at 845-265-8080 x7107, or email us at sail@clearwater.org.